California Governor Gavin Newsom halts the state’s death penalty with an Executive Order rousing comments and opinions from supporters and opponents, including some inmates. “The order was met with scorn from supporters of the death penalty who called the blanket reprieves an abuse of power,” NPR reported. Marc Klass said it’s a “Trumpian” thing to do and that the governor is making the death penalty all about himself. He said “the people have spoken and people like Richard Allen Davis have no reason to breathe the same air as everyone else.” Davis was convicted of murdering Klass’ daughter in the 1990s. 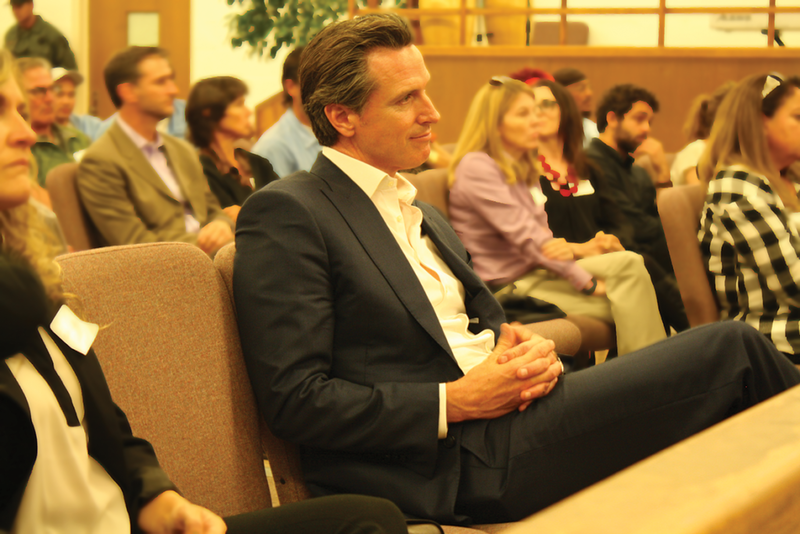 Newsom said the death penalty is used unfairly on people of color and it has wasted taxpayers’ money, a cost, according to Newsom, that has cost taxpayers $5 billion. He noted there are currently 737 men on Death Row at San Quentin, and the state has only executed 13 people since the death penalty was reinstated in 1977. Since then, he said 120 people have died on death row by either suicide or natural causes. Often over looked by the number of men on Death Row are the more than 20 women sentenced to death at the Central California Women’s Facility in Chowchilla, Calif.
“Every governor that comes in gotta do some- thing with this system,” said inmate Hamisi X. Spears, 46. He said Gov. Gray Davis maintained the position that no one who was serving life would go home on his watch, and Gov. Schwarzenegger wouldn’t oppose some of the decisions made by the parole board to grant some inmates release dates. Inmate Ed Carlevato, 66, said “If I were on Death Row I would want to be executed.” He reasoned that, “If all my appeals were exhausted, I want to be executed instead of living in a box for nothing.” As a Catholic, he said such a desire to be killed would leave him “conflicted,” but he sees it from the other side so his faith allows him to side with Newsom. California Senator Kamala Harris said the death penalty is “immoral” and deeply flawed. She was the district attorney of San Francisco and the state’s attorney general. The city’s current district attorney, George Gascon said poor people and people of color are more likely to have the death penalty imposed on them than anyone. “It’s a racist system and you cannot deny that,” Newsom said in a broadcast by Bay Area KPIX 5, a CBS affiliate station.